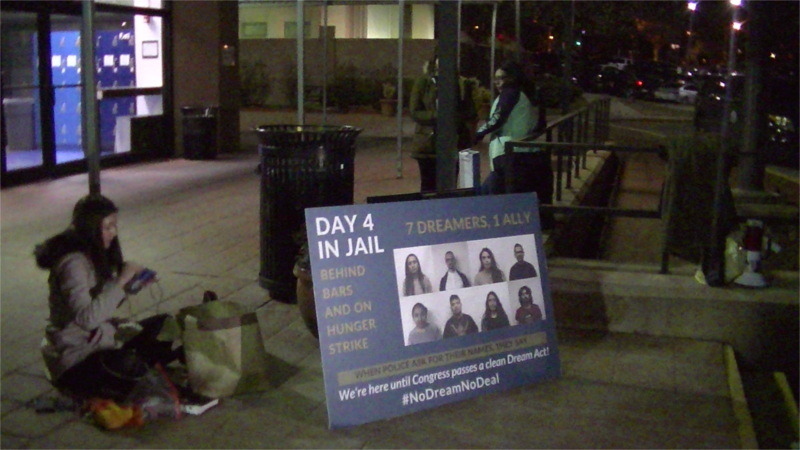 On the 19th of December, DREAMERs, other migrants, and their allies held a vigil outside the DC Jail for 7 DREAMers and one ally who were being held after a Friday civil disobedience in Senator Schumer's office. They refused to give their names and are on a hunger strike until a clean DREAM act is part of the upcoming budget deal. Three were supposed to be released Tues night but never were. The vigil was held in part out of fears that the three would be turned over to ICE instead of being released. The US Capitol Police are not subject to the DC Government's limited sanctuary city provisions and are known to cooperate with ICE. ICE did not appear, protesters kept a watch for any sign of them or their vehicles. 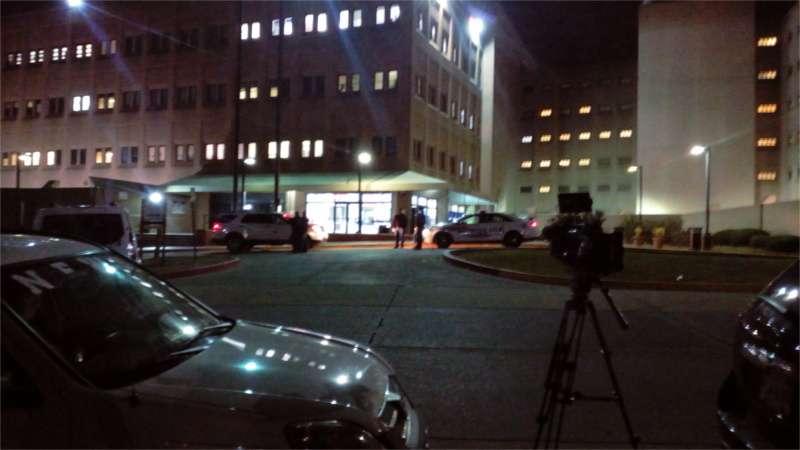 Police however were quick to push the press conference back from the jail when the 7-10PM window in which the three were to be released arrived. 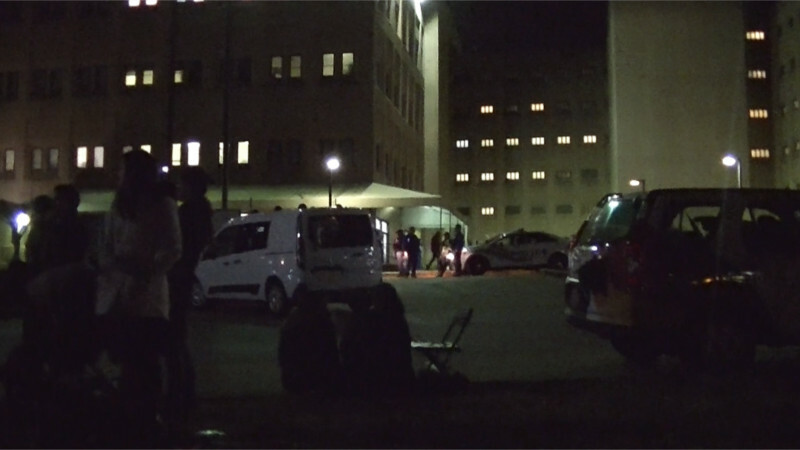 They then set up a defensive position protecting what appeared to be a single Dept of Corrections minivan that stayed put the entire duration of the vigil. 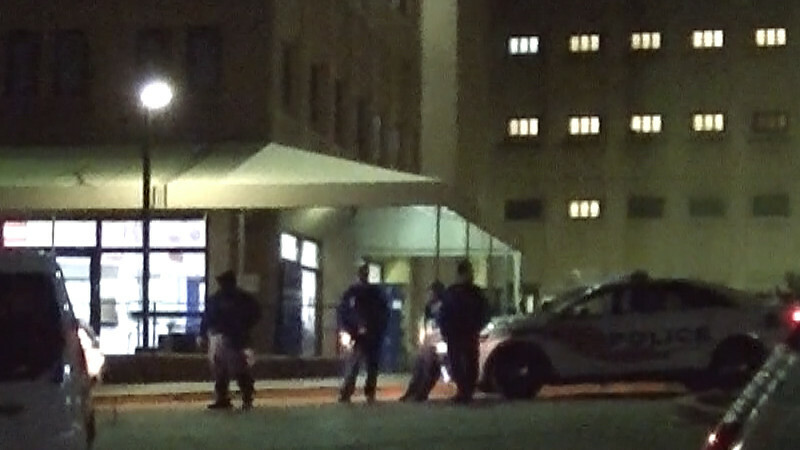 At one point cops stood in a line between it and a police cruiser, in some kind of defensive formation. As of Wednesday morning the detainees who had given their names and were suppposed to be released had not been, as either the court went back on their word or someone else defied the court, no idea which. Wednesday is the sixth day in jail for all of them. 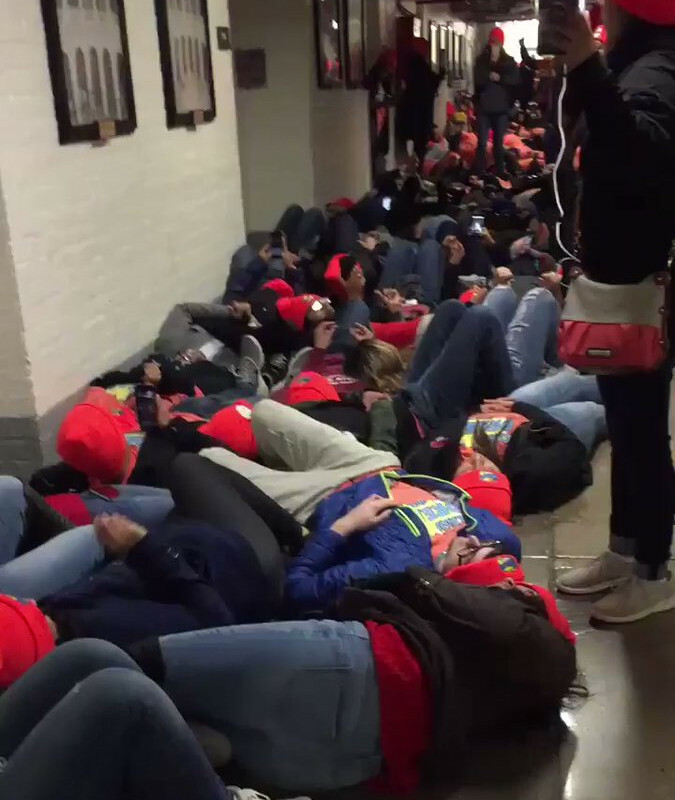 The next day, a massive civil disobedience demanding that a clean DREAM act be part of the budget ("No Dream No Deal") again rocked the halls of Congress, with hundreds of protesters holding another die-in. The GOP just passed their dirty tax cut for the 1% and tax hike on everyone else and they are already talking about cutting Social Security, Medicaid, and Medicare. Democratic Senators are being asked to vote NO on any budget deal that does not include a clean DREAM act. Sen Gillibrand has already committed to vote NO on any budget deal that fails to include the clean DREAM Act. The Friday, Dec 15 protest in Senator Schumer's office was and is to demand that he follow Senator Gillibrand's example. The DREAM 7 are seven migrants brought to the US by their parents as children and formerly protected by DACA, plus one ally who chose to risk arrest with them. The 20th of December marks their sixth day in jail and on hunger strike. Five of the eight are refusing to give their names, so as to force the courts to hold them. They have stated they are staying in jail until Congress passes a clean DREAM act. The other three were supposed to be released between 7 and 10PM on Dec 19 but were not released and still in jail as of Dec 20. The DREAMers have decided the only chance for forcing this GOP Congress to pass a clean DREAM act (no more border militarization etc) is for the Democrats to attach it to the FY2018 budget and refuse to vote for any budget that does not include it. There are fears the GOP will decide to shut down the government (excluding police, prisons, military, etc) rather than accept a budget including the DREAM act but not Trump's wall. The pair of vehicles and police formation in the background. Civil Disobedience in the halls of Congress continues on Dec 20: clean DREAM act or no budget deal!